This isn’t just a space to feature its beers — it’s a shot to every other brewery in town: Step your taproom game up. 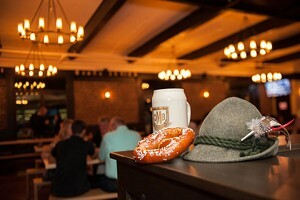 Olde Mecklenburg envisioned an experience that would transport you out of Charlotte and into a German bierhall, and the owners pulled it off. This new space screams destination brewery, and the Charlotte beer scene will be much stronger if other outfits follow suit.